Paddy advises on the full range of VAT for businesses and their advisors. 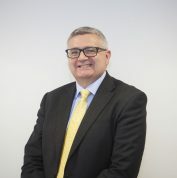 As well as providing consultancy, he also acts for clients in relation to penalties and disputes, and appeals to the First-tier Tribunal. For a number of years he had his own consultancy covering VAT and some customs and trade issues.